Break-ins are not unusual in this Indiana neighborhood – but an unlikely hero saved a single mother’s home from being burglarized earlier this week. The homeowner, who asked not to be identified, lives in Indianapolis’s east side. Luckily, they weren’t home when burglars broke through the door of the home. 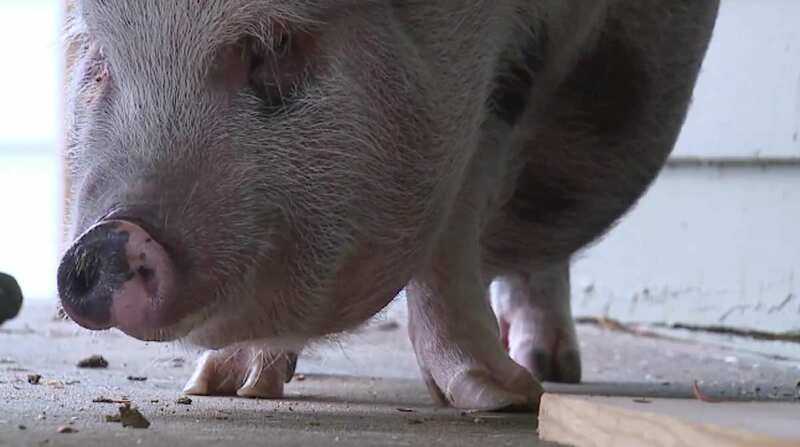 Even more fortunately, the thieves did not take anything from the house – and police say that it is probably because they did not expect to run into the mother’s pet pig named Dumplin. Police say there were three other burglaries within a two-block radius of the woman’s house, but since none of them had a swine-based security system, they were not as fortunate. The woman says that she adopted Dumplin when she saw him at a rescue earlier this year – and it was easily love at first oink. “The moment I saw him I knew he loved me instantly. He’s the perfect animal,” she said in an interview with WXIN.